Get yourself prepared for Postpartum life with these ESSENTIALS for the new mom. Trust me, you’ll be glad you had them! 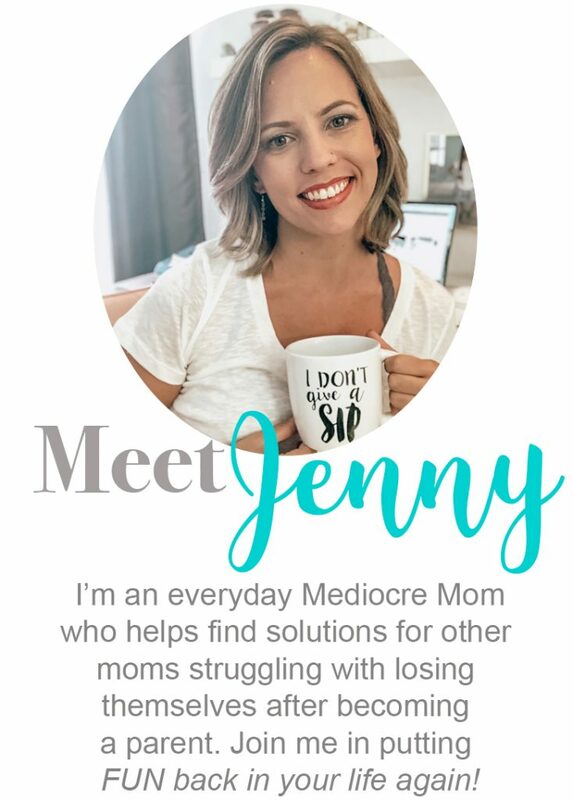 You had a baby… Congratulations! Preparing for a new baby doesn’t mean just preparing for them. You just freaking pushed a human out of your lady bits! 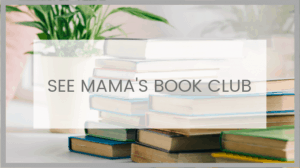 Have you given any consideration to what YOUR postpartum care essentials are? 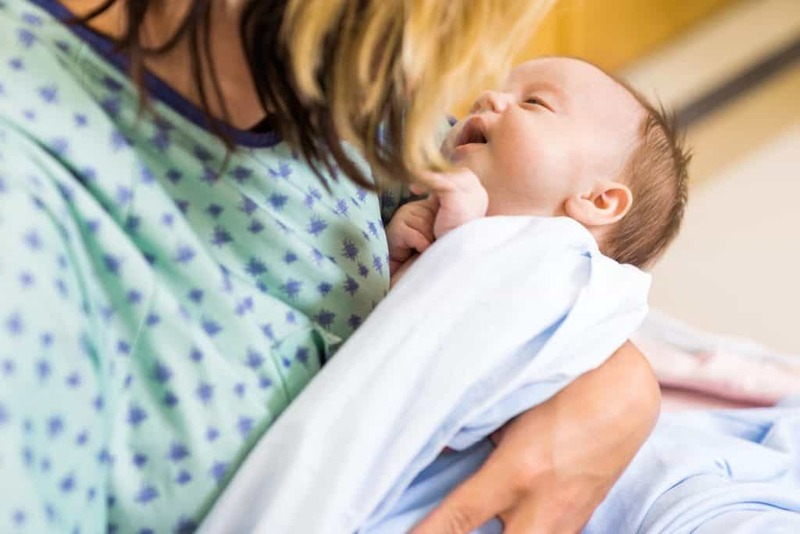 Chances are, you spent months getting ready for your little bundle of joy. 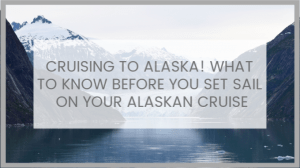 You’ve read a hundred different tips about what to have ready. 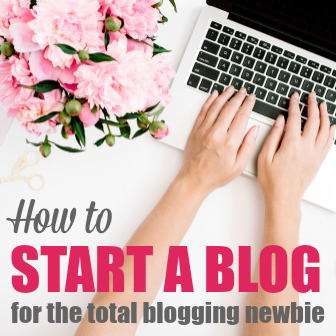 You’ve even viewed several checklists for every item you need those first few weeks. But in all this time of thinking about your baby, have you stopped to think about YOU? Have you given any consideration to what your body needs those few weeks after you bring baby home? You are about to spend the rest of your life putting your child first. 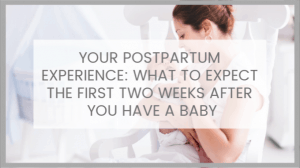 So for one minute, start to consider what you will need and make sure you have all your postpartum care essentials ready to go! I’ve put together a very essential checklist of things you will definitely need (and want!) during your postpartum weeks. 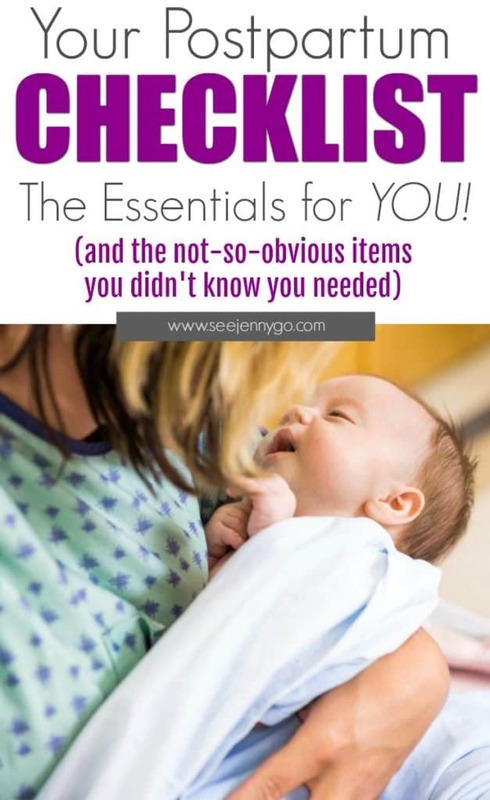 Even though you may have read other checklists for postpartum supplies, what you’ll find here is the not so obvious things you need, as well as exactly why you need all these items. There are several items that are pretty obvious you will need during those first few postpartum months. 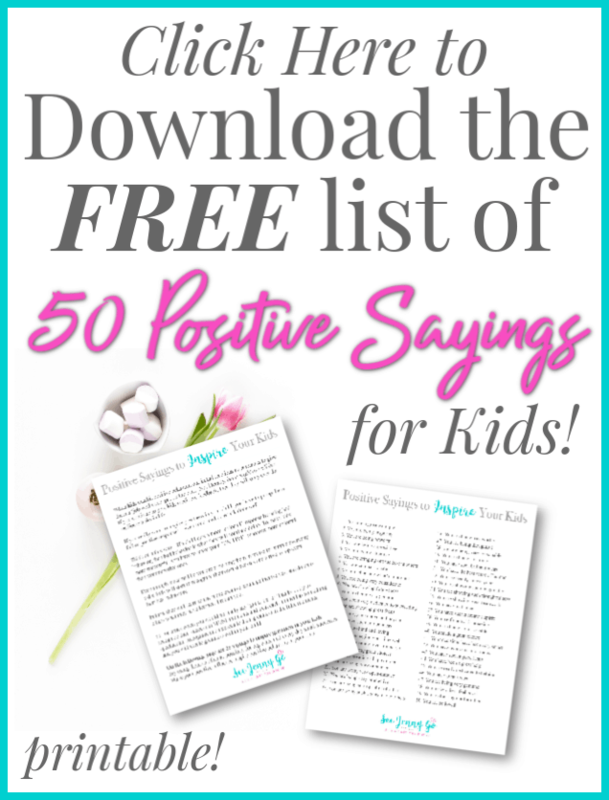 Maybe some friends told you, or maybe you’ve peeked at a few checklists. 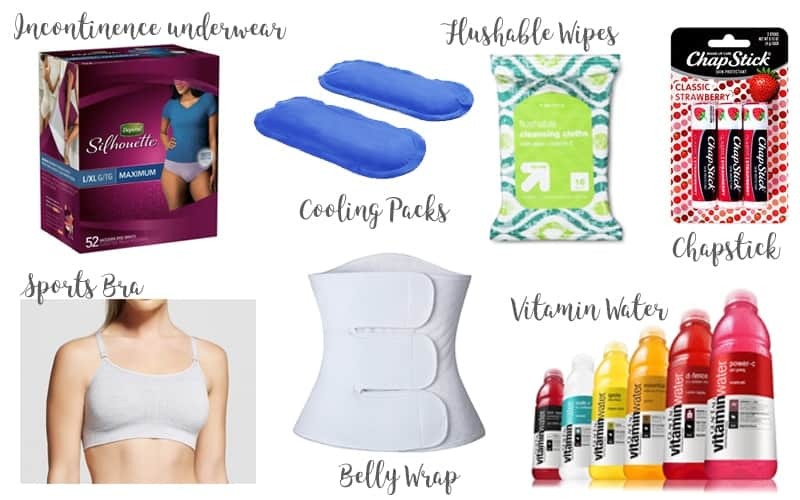 So maybe this is redundant, but here is a list of very basic essentials you will need for your postpartum body. Motrin (Ibuprofen). It’s probably pretty obvious that you will be … uncomfortable… (ok, you will be in PAIN). Hopefully, you got a prescription for pain meds at the hospital. But if you didn’t, or you just don’t want to take those then male sure you get some Motrin. TIP: Don’t wait until your body is in intense pain to take the pills. Take them every 6 hours no matter what. If you keep on top of the pain, it will stay away and you will feel better. If you wait until your pain is really bad to take some medicine, it could take a few doses to get your pain to a manageable level. Stool Softener. I cannot even begin to explain why pooping will be really hard after you give birth. You just need to trust me that it will hurt. Getting a stool softener will definitely help with that. Don’t worry, it won’t make you go unexpectantly. It just helps soften it so it comes out with less straining. Peri Bottle. There is a good chance you’ve heard of this already too. So when everyone tells you to get something, just do it! This bottle is mandatory. After you use the restroom, you will not be able to use toilet paper (trust me, you won’t want to!) so this handy squirt bottle will really useful to clean you up down there. I prefer this model because the angled head makes it easier to use. Breast Pads. Whether you are breastfeeding or not, you will leak. sometimes it might be a little leak and sometimes it might be A LOT Get some breast pads. I love the disposable ones because I went through dozens at a time. I would never be able to keep up with the washable ones. More then often, I stuffed my nursing bra with 4 at a time because sometimes I just leaked that much. Pain Relieving Spray. Remember all those times I told you it’s going to hurt down there? I’m not joking! So do yourself a favor and get some pain relieving spray. Get a few bottles. One for each bathroom and one in your diaper bag. You will want to spray this on your lady bits every time you use the restroom. Witch Hazel Pads. These great pads are cooling and help you heal. After your 10 other steps of using the restroom, put one of these on top of your pad or in your underwear for constant relief throughout the day. Vaseline. Vaseline has a hundred different uses that go beyond your postpartum body but I also found it very essential during those first few weeks. If you had a vaginal birth and you tore… chances are you have stitches. If you try to pee with stitched down there, it’s going to burn. Like salt in an open wound burn. The best way to get around that is slathering your stitches with vaseline before you pee. Before you start thinking I’m crazy and this list makes no sense… give it a chance! You may think you don’t need any of these things but it would be a good idea to consider them. It’ll make your postpartum experience so much better. Cool packs. You had a baby come out of you. You might have torn a little and needed stitches. The cool packs are necessary! You can use these babies in either your bra or to sit on for comfort in any place in may need it. A case of water/Vitamin water. Or even Gatorade would work. When you are breastfeeding, you become very very dehydrated. I didn’t know this until I was already in that position and desperate. I had to run to Costco and get a 24 pack of vitamin water. And went through that in a few days. So stock up on something to hydrate yourself before you give birth. Chapstick. Going along with the dehydration, your lips are parched too. Have several chapsticks around for when you need them. And since you might have mommy-brain, buy a few packs so you never forget where you put them. Postpartum belly wraps. Thee belly wraps are great for women who have c-sections but they are also a blessing for anyone who gave birth at all. Your stomach stretches out a lot and after the baby comes out, it does not go back easily. Picture trying to do everything with no abdominal muscles. Not easy. These belly bands help give you that little extra core strength you need, as well as tucking in your flabby tummy (and let’s be honest, is a really nice thing). Incontinence Underwear. Yes I understand, these are not attractive and you don’t like them. But they are worth it. Things are leaking down there like you don’t believe. You can put big pads in your underwear but they don’t always catch everything. These disposable underwear are comfortable and you won’t have to worry about leaking on them. Just toss it out and grab another pair. Sports Bras. You may have plenty of nursing bras but you don’t need those all the time. Make sure you have some really comfortable sports bras. You don’t know how swollen you might so get some a size up or two. They are really great for sleeping in also. Because like I said, I had to pack several breast pads in my bra at night or risk waking up to milk all down the front of my shirt. I love these sports bras because they are cheap and adjustable so you can take them in or out as your breast swelling goes up or down. Flushable Wipes. Toilet paper is torturous on your sensitive lady bits. Don’t even attempt it. Save your self the pain and grab some moist (love that word) towelettes. They make great wipes for any spills or baby barf when you are out of the house also! I still carry these with me for little sticky kids hands. The best thing about all these products is that they are available online and most on Amazon as well. 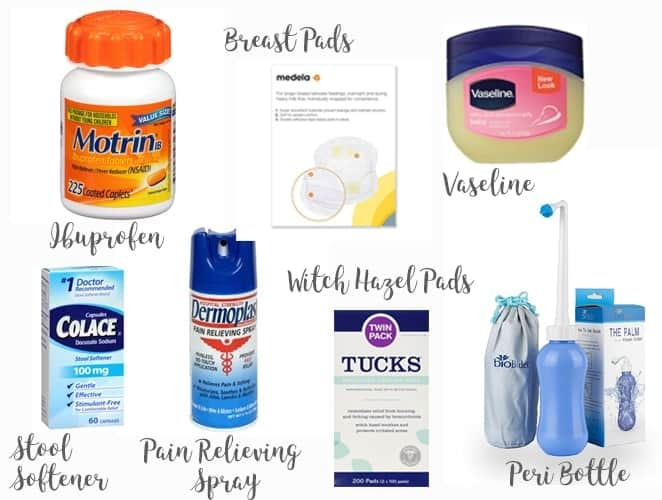 So even if you do forget to order yourself some postpartum care essentials, you can order them all with a simple click and get them to your house ASAP. Because the daddy is going to be too busy cleaning and worshipping you… right?